Malayalam’s Super hero Mohan Lal is known for his dedication levels. Mohan Lal who is a 57-year old actor is leaving no stone unturned to surprise his fans lately. We all know that Mohan Lal underwent a phase of heavy transformation after the movie Pulimurugan. In this frame of context, Mohan Lal seems to have become more and more dedicated, as his looks are throwing fitness goals even amongst the youngsters. 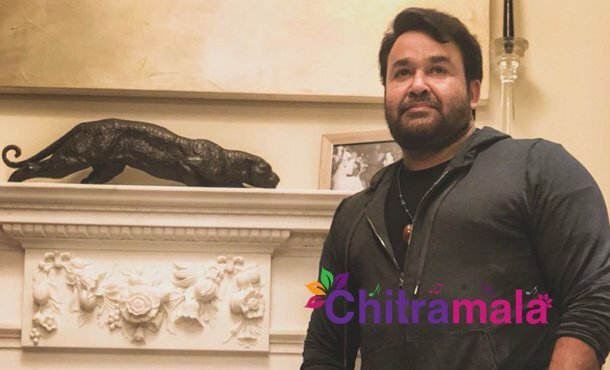 Here is one of the latest pictures of Mohan Lal where he looks slimmer with a fresh glow. With a handful of offers, Mohan Lal has become a busy bee. Despite his busy schedule, Mohan Lal is staying alert regarding his fitness. Mohan Lak is to appear in a Tamil multi-starrer with Suriya and Allu Sirish which is to be helmed by KV Anand. The film is likely to get on floors on June 25 and will be shot in Delhi, Hyderabad, and London. Harris Jayaraj is the music composer.